A moment of contemplation for Paul Dano as Brian Wilson from the Beach Boys. Love & Mercy demands to be listened to as intently as it is watched. An assault on the senses from its cacophonous opening bars to milder end notes, the biopic delves into the mind, ears and turbulent life of Beach Boys co-founder, Brian Wilson. Pulling no punches in laying the visionary musician bare, director Bill Pohlad and writers Oren Moverman and Michael Lerner demonstrate a reverence for musical creativity in its purest form, take an unflinching look at mental illness, and, in focusing on two periods of the artist’s life, generate a well balanced and profound portrait of a man defined as much by his troubles as his successes. The film tick-tocks with metronome-like regularity between the 1960’s –riding the wave of “Surfin’ USA” success and preparing for “Pet Sounds” but watched over by domineering and father, Murry (Bill Camp) – and the 1980’s where Wilson is a shadow of his former self, medicated into submission by tyrannical psychologist Eugene Landy (Paul Giamatti, sporting a tremendous wig), who controls his daily routine, every social interaction and diet. Just as the film is split in two temporally, so is the role for co-leads Paul Dano and John Cusack, Brians Past and Future, both grossly affected by the psychological and physical intimidation of their tormentors. Neither man looks a great deal like Wilson or even each other and yet it works. Paul Dano as the younger Brian Wilson in Love & Mercy. Dano excels; he crafts the younger Brian with a performance that oscillates between supreme, yet humble, confidence and desperate uncertainty, creative brilliance and manic obsession. As the actor has shown in the past (most notably in There Will Be Blood), he is able to coil an emotional spring extremely tightly before unleashing it. Moments of musical inspiration feel genuine, organic and the band’s characteristic harmonies soar. A first playing of “God Only Knows” (with Dano doing a very good job on vocals) is like witnessing a piece of history first hand. Dream-crushing Wilson Sr. considers the song “wishy-washy” but I couldn’t disagree more. The furious energy with which Dano immerses himself in experimenting with new and extraordinary sounds (dogs barking, pinging piano strings with hair pins) shows a man in his element, musical revolution flowing from him like a writer hammering at a typewriter. Cusack and Banks: the future Mr. and Mrs. Brian Wilson. Brian of the 80’s/Future is almost vacant, an amp turned down from 10 to 1. He asks Cadillac saleswoman, and future wife, Melinda Leadbetter (a resolute but sympathetic Elizabeth Banks) for her card but doesn’t leave his telephone number, instead writing just three words: “Lonely, scared, frightened.” Whether a cry for help or not, it is brutally honest. Further iterations of off-the-cuff candour draw Melinda in, reeling from past hurts of her own. Over the course of his career Cusack has handled a number of awkward end-of-date-night-goodbye scenes. Fumbling teenage awkwardness is replaced here by a twitchy, helpless man-child, watched over by his bodyguard. Giamatti is ruthless, controlling, even maniacal, his condemnation confirmed by a violently misogynistic outburst towards the end of the film. It is good to see Cusack come in from the cold after a decade spent in the wilderness of films not worthy of his stature. Imprisoned in his own mind after years of systematic abuse, an older Brian does not offer the actor the same scope as Dano but his affable warmth and vulnerability entice us as well as Melinda. 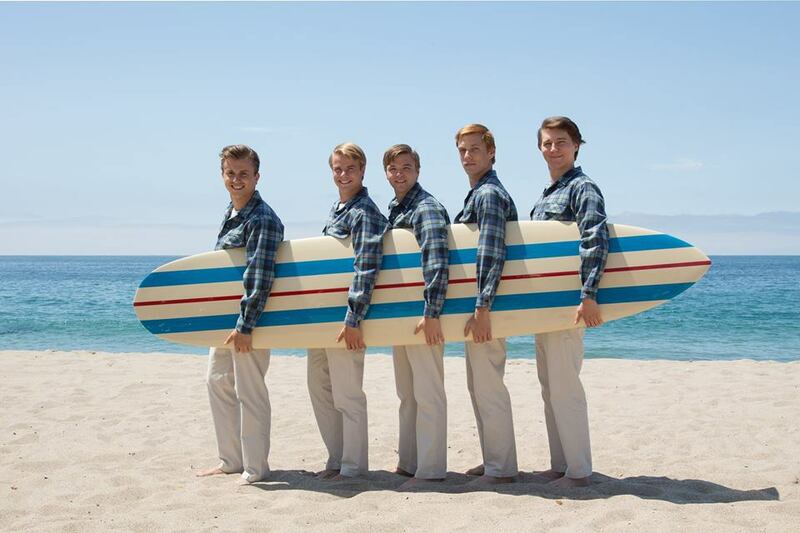 The Love & Mercy soundtrack comprises the band’s well known hits but the score does not beat you over the head with Beach Boys music, instead incorporating it into the plot. That’s not to say you won’t find yourself humming along to “Good Vibrations” as the song forms in front of your very eyes and ears. Posted in 2015 and tagged Elizabeth Banks, John Cusack, Michael A. Lerner, Oren Moverman, Paul Dano, Paul Giamatti. Bookmark the permalink.